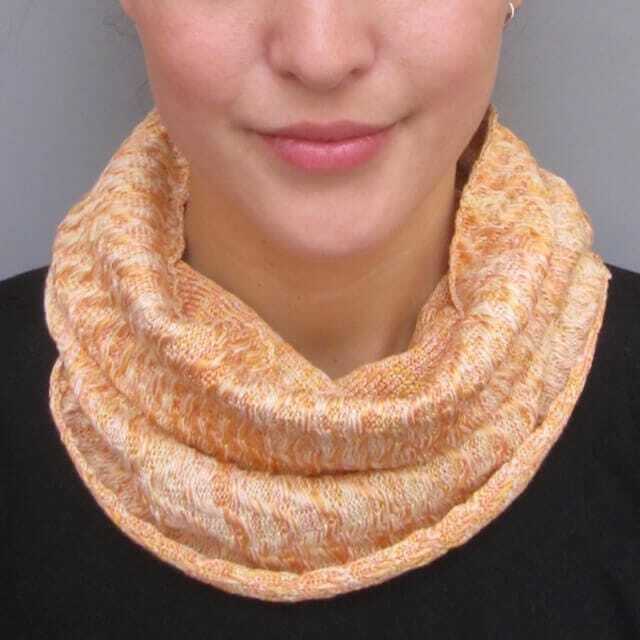 A luxurious, short loop scarf with a subtle texture made by hand with cashmere and silk yarns. 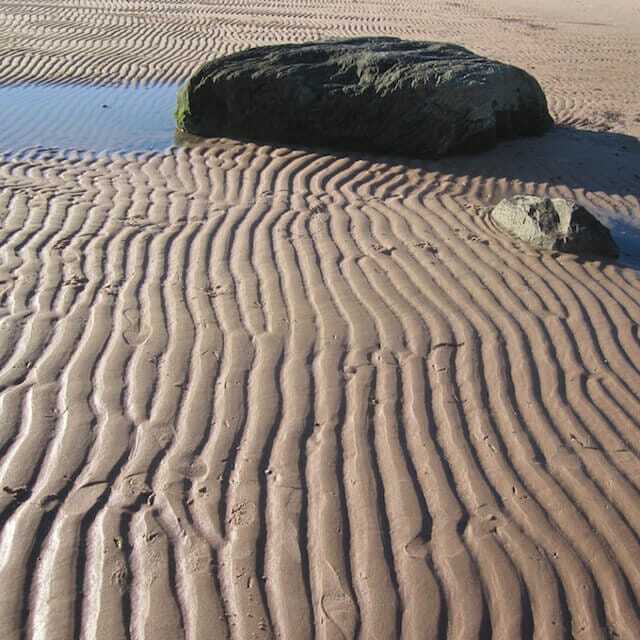 The design inspired by the ripple effect left in the sand by the receding tide. This scarf compliments any outfit. The Cashmere and Silk Ripple Cowl is available in the shade Summer Sorbet. Due to the nature of the pattern, each scarf is slightly different with variations in the yarn combinations. Olive started her career as a cartographer in Glasgow, designing maps for educational atlases, then latterly designing and creating small scale maps for a variety of book publishers while living in Oxfordshire. After a move back to Scotland she fulfilled a lifelong ambition to work in textile design and returned to study, graduating from the Glasgow School of Art in 2012. She has sold designs to Diane von Furstenberg, Jaeger, Banana Republic and Theory. Olive Pearson Designs was set up in 2013/14 and currently specialises in bespoke and limited edition slow fashion; knitted accessories for men and women. All of her products are made by hand using a manual, vintage knitting machine. Since learning to hand knit as a child Olive has been fascinated with the process of making fabric and still gets a massive kick out of creating fabric from strands of yarn. Olive’s signature small scale designs are influenced by her love of geometry, colour and repeat patterns. Using traditional techniques, she creates contemporary patterns that play with perceptions. She gets her inspiration from everything around her from manhole covers to small architectural details to ripples in the sand. Colour is an important element to her work and she continually experiments with colour combinations to suit each design and loves to do one-off pieces for clients.